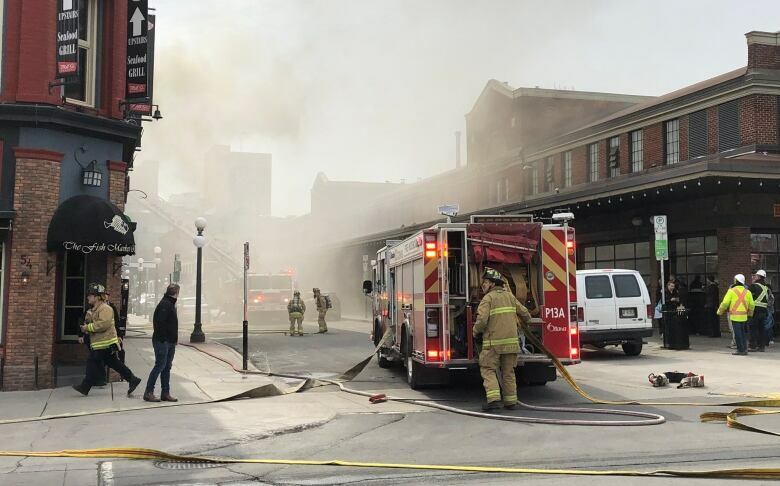 Firefighters are dealing with a blaze on the roof of the Vittoria Trattoria restaurant in Ottawa’s historic ByWard Market. The fire at 35 William St. was reported just before 11:30 a.m. Friday, and has reached a third alarm. The flames were spreading through the roofs of attached buildings, which have been evacuated. Motorists and pedestrians are being asked to avoid the area. York Street is closed to all traffic between Sussex Drive and Dalhousie Street, and George Street is closed to all traffic between Sussex and Dalhousie. Don't dismiss them as 'crackpots': Who are Canada's yellow vest protesters?